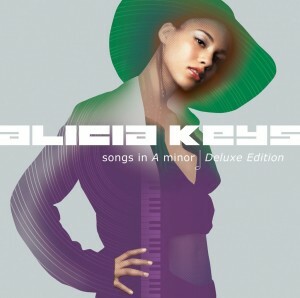 To celebrate the forthcoming 10th anniversary of its original release, Sony Music will pop out both deluxe and collectors editions of Alicia Keys’ spectacular debut album ‘Songs In A Minor’ in July. Containing the mega-hits ‘Fallin’ and ‘A Woman’s Worth’, ‘Songs In A Minor’ went on to double platinum status here in Australia, while selling in excess of 12 million copies across the globe. The new versions will come resplendent with new tracks including ‘Typewriter’ and the original “funky” demo version of ‘If I Was Your Woman’. The deluxe edition comes in a two disc format, while a special collectors edition will come with two CDs and a DVD, the latter containing a brand-new documentary on the making of the original album, along with music videos. A vinyl edition of the LP is also to be pressed. ‘Songs In A Minor’ deluxe and collectors edition albums are due in Australia on Friday July 01.